Want to take a chance and have your guests reserve their rooms individually at a better rate? The problem with this is you run the risk of another unexpected group reserving all of your local hotel rooms. Without a contracted block of rooms, hotels cannot guarantee availability when your guests eventually decide to book. We have seen this happen on a few occasions where a city or county wide group booked up everything within a 50 mile radius. There are advantages to reserving a block of rooms such as the ability to access rooming lists and make accommodation requests. Keeping track of your guests also allows you to issue gift bags and event information more efficiently. Calling around looking for attendees outside a room block can be challenging. Hotels are generally secure with guest information and will not offer it up very easily, if at all. Best thing to do is check out the online rates offered by the major hotel room discounters. 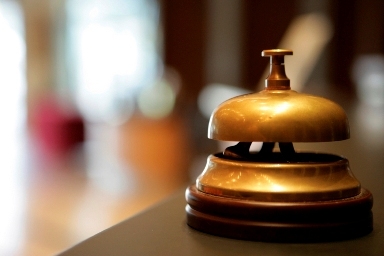 Use these rates as a negotiating point while reserving your rooms. Your negotiated group rate may be a few dollars more than the online discounters. But you will have peace of mind knowing the hotel will keep your rooms on hold when another group comes knocking.